Tyrone Williams poems in Futures, Elections are ruminations on the nature of the dual realms we call heaven and earth, and of how we humans may move thru these realms. The poems here are at turns, or in combination, ironic, comic, wistful, and metaphysical. An extremely intelligent and deeply delving language. As Harold Bloom would tell us, worth all the difficulties we encounter here. 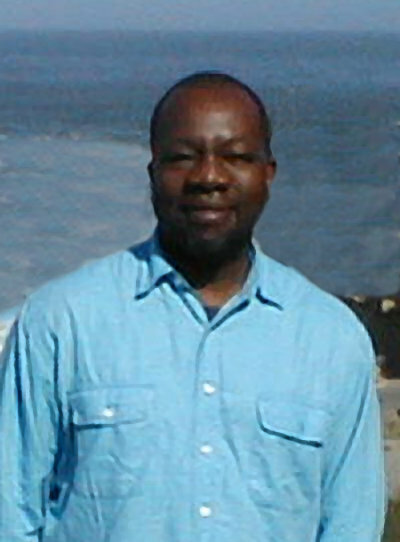 Tyrone Williams teaches literature and literary theory at Xavier University in Cincinnati, Ohio. His collection of poems, c.c., was published by Krupskaya Books in 2002. He is also the author of two other chapbooks, AAB (Slack Buddha Press, 2004), and Convalescence (Ridgeway Press, 1987).Recent poems appear in Kiosk, Chicago Review, XCP (Cross-Cultural Poetics) and Pavement Saw. He was a 1999 and 2004 resident at the Djerassi Artist Program in Woodside, California.